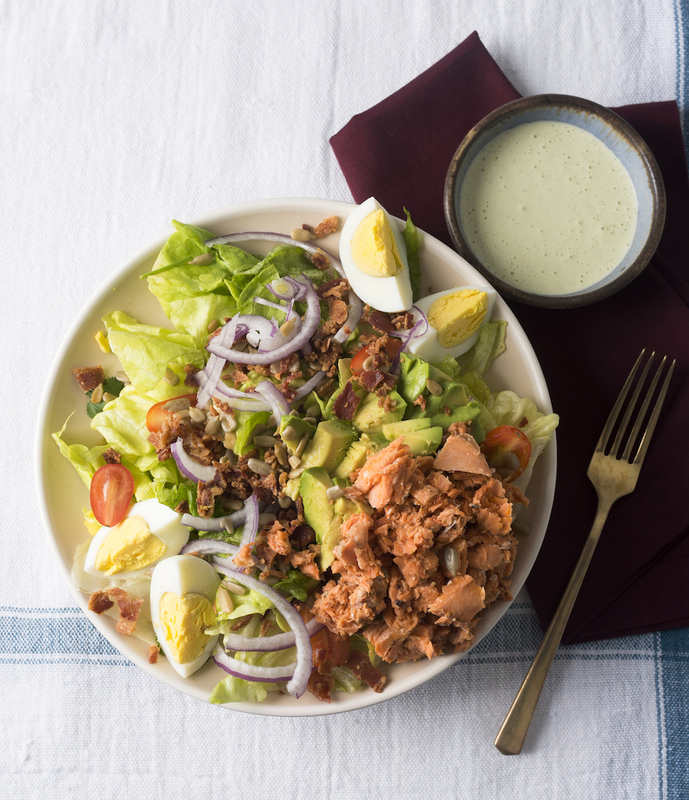 Canned wild salmon is a perfect addition to good old Cobb salad, an All-American favorite. Toss Romaine, Salmon and Bacon w/ Dressing in serving dish. Top w/ remaining ingredients and serve.